Sisense is a self-service analytics and reporting tool that lets anyone create interactive dashboards & reports in minutes. 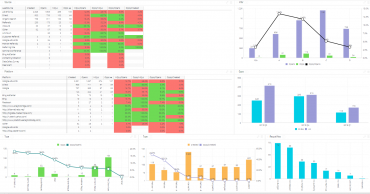 Say goodbye to cumbersome, IT-centric reporting: Sisense lets you easily transform big data from disparate sources into visual BI reports in a matter of minutes. Static reports quickly become dated and are easily ignored. 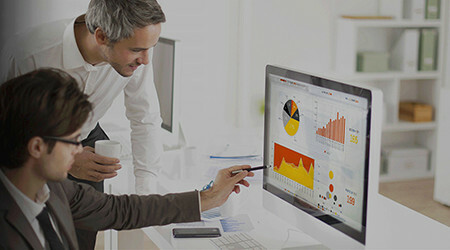 Turn your business into a data-driven enterprise with interactive BI dashboard that update automatically. All Sisense reports and dashboards feed from real-time data, allowing everyone in your organization to analyze the same numbers, rely on a single source of truth, and always access the freshest insights. Access reports directly from your web browser, or use email alerts and PDF exports to spread the word. 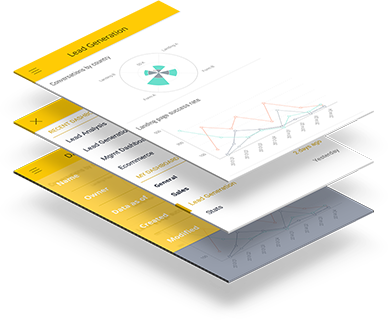 Connect to your data sources in a click, create a drag-and-drop data model and immediately start building customer-facing, HTML5 dashboards and reports. Add your own branding and customizations independently or with the help of our dedicated customer success team. Building and sharing dashboards is always a breeze. 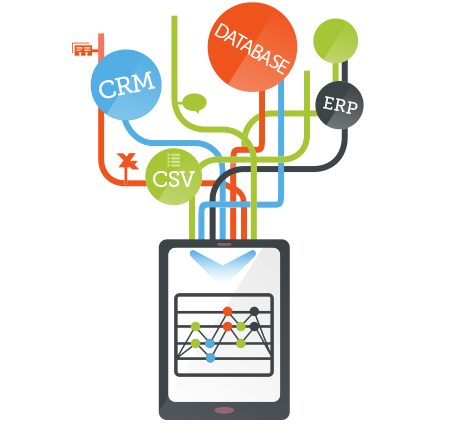 Create meaningful reports with data from multiple data sources Excel, text/CSV files, any database (SQL Server, Oracle, MySQL), and cloud sources. No additional tools are required: Sisense is a single-stack BI tool that makes it incredibly simple to prepare, analyze and visualize any data source, structured or unstructured – with no scripting, no expensive hardware, and little to no help from IT required. Decentralized reporting could mean different departments and stakeholders looking at completely different numbers, which could quickly create messy situations. Put an end to data siloes and spreadsheet chaos: ensure that everyone is working with a single source of truth by using Sisense as a centralized data repository for all your business intelligence reporting needs. 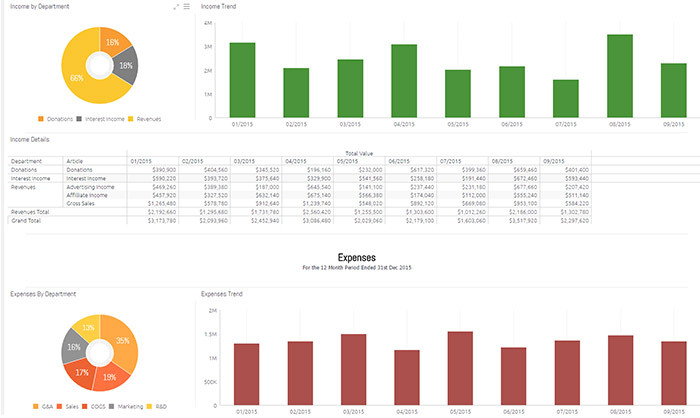 With easy to use drag-and-drop capabilities, even non-technical users can use Sisense BI reporting tools to join all their data sources into a single repository, and build insightful reports with beautiful visualizations. Easily adjust data models, tables and sources, query terabyte-scale data and generate a new report or dashboard – all in a matter of minutes, and without going through endless iterations with your technical departments. Sisense works on any mobile or desktop device, either directly through the web browser (with HTML5, mobile-responsive dashboards) or via native apps for both iOS and Android smartphones and tablets. Wide variety of tables, charts, graphs and other visual BI tools can be configured and linked to source data to generate interactive data visualizations – making your data visually appealing and accessible to everyone. Sisense empowers thousands of users across the world by simplifying their reporting and analytics, and putting the power of data into the hands of business users. We are dedicated to speedy, successful deployments and work closely with every client to make sure they gain the maximum value out of Sisense, and with minimal overhead. That’s why the world’s leading companies – from Fortune 500s to fast-paced startups – choose Sisense as their BI reporting tools.